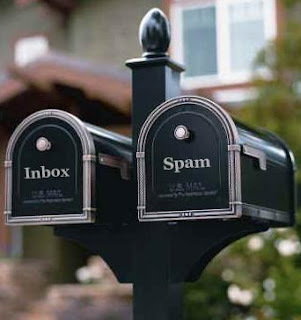 Mailbox Monday is a weekly meme started by Marcia at Mailbox Monday in which bloggers can ramble on about the books they received/bought/stole over a given week. 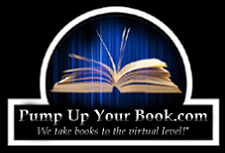 Each month a new blogger hosts the meme, and this month it’s Kristen at Book’n Around. I haven’t blogged much in the last few weeks, so this is a roll-up of books I’ve received over that time. Definitely not indicative of my usual book haul. And with that in mind, here we go! The Cocktail Waitress by James M. Cain – James M. Cain was a hardboiled author that wrote mostly through the 30s and into the 60s. He died in 1977, but his work lives on thanks to Charles Ardai and the folks at Hard Case Crime. The Cocktail Waitress was an unpublished work up until recently, when Charles Ardai got his hands on the rough manuscript, edited it, and published it through his HCC brainchild. The story is about a beautiful young widow who takes a job serving drinks at a cocktail lounge to make ends meet, and all sorts of nefarious happenings spin out of it. I’m eager to read this one. Death on a Longship by Marsali Taylor – Set in the Shetland Islands (a series of islands north of Scotland), Cass Lynch lands a job skippering a Viking longship for a major Hollywood film. But as the title suggests, death intercedes to make things a little more interesting. 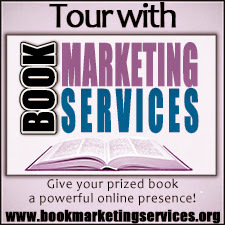 I haven’t read the book yet, but I’ve agreed to take part in the blog tour that’s going on right now. And as part of that, the author, Marsali Taylor, will be stopping by on Friday to talk a little bit about the Shetland Islands and its history with the Vikings. It should be a good one. Haunting Obsession by R. J. Sullivan – I posted an interview with R.J. a few days ago, and I’ve already read the book and am (still) planning on writing a review, but Haunting Obsession hasn’t been covered in an MM post, so here it is. It’s the story of a movie geek who finds the wrong piece of memorabilia and ends up summoning the ghost of a 1950s Hollywood bombshell (a la Marilyn Monroe) who takes an unhealthy interest in him. Good book, will hopefully be posting more about my thoughts on it later this week. Kingdom by Anderson O’Donnell – Ah, Dystopia. How I love you. New author Anderson O’Donnell has taken one of my favorite genres and stirred the pot, adding things like a sect of renegade monks, bioware, a dead U.S. Senator, and the gene responsible for the human soul. Confused yet? Well maybe I’ll be able to shed some more light on it when I post my review and interview with the author. I’m signed up to be one of the anchors for the blog tour with First Rule Publicity kicking off in October. Soldiers First: Duty, Honor, Country, and Football at West Point by Joe Drape – I won this ‘un from the Librarything Early Reviewers program, and I gotta say, I’m not exactly sure why. Librarything generally bases its selection off your catalogue and your reviewing history, and I don’t have that many non-fiction or sports books in my catalogue. But at the same time, it’s a book I am well-suited to review. For one, I played football in college. Didn’t know that? Well that’s because I try not to let on with the intellectual crowd ‘cos I don’t want my big dumb jock status to color their impression of me. In addition to that, my father-in-law graduated from West Point in 1979. And my two-year-old’s very first college football game? Army vs. Vanderbilt, 2011. So yeah, it’s a good fit. I’m not sure when I’ll get around to reading it, but I have a feeling I’ll enjoy it when I do. Walking with God by John Eldredge – Normally I’m not a big “devotional” or “self help” reader. Those kinds of books have never really floated my boat, and I’ve always been one who felt emotionally fortified, someone who didn’t need that kind of stuff. But as some of you know, there have been some family issues of late, and all my assumptions about myself and my “emotional fortifications” have been turned on their head. A coworker let me borrow this book, and I am so glad he did. It’s opened my eyes to a lot of things and has helped with this process immeasurably. Will I review it? I don’t know. I’m not sure I could ever review it without getting into a bunch of personal stuff that no one really wants to hear about. So we’ll have to see about that one. Westlake Soul by Rio Youers – Twenty-three year-old surfing champion Westlake Soul is a superhero, but not in the way you might think. After a surfing accident, he is left in a permanent vegetative state, but his brain has been transformed into the most powerful mind on the planet. The only problem is he can only communicate with the family dog. And then there’s his arch nemesis, Dr. Quietus, the embodiment of death itself. I haven’t read this one yet (again, not sure when I will), but it sounds positively sublime—a meditation on death and the meaning of life as seen through the (self-deceiving?) lens of a comic book superhero. The premise itself blows me away. I swear that sometimes the algorithm that chooses books for you at LibraryThing must be able to mine info from your personal life as well as your bookshelf. I've gotten books I was particularly well suited to review too despite the fact that it wouldn't be immediately obvious looking at my shelves. Happy reading this week. Thanks so much, Kristen. Yeah, whoever came up with that algorithm is a freakin' wizard. Definitely an insane amount of technical skill there. Thanks! Yeah, I'm really excited to read Anderson's book. And you guys did such a good job with the tour packages too! You have some fun looking books there! Excited for the review of Haunting Obsession because that sounds freaking awesome to me right now from the synopsis and Death on a Longship sounds intriguing as well. And Westlake Soul - holy crap, That.Sounds.Amazing. Those are really good books. I liked them. But a lot of them are published only in English. I think it's such a waste of talent! They needed to be translated! I would recommend all authors go to pickwriters.com and pick a firm who will do the translation. On that site you can compare different services, check their prices and features and read comments about theirs work.